Dog walkers could help police net the culprit behind a mystery roadside assault in Milton on Friday. 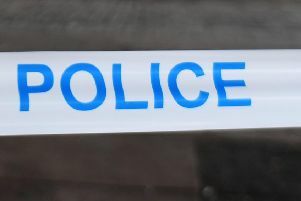 Police were called by a member of the public who had seen a man being assaulted by another man in Castlebay Street near to Egilsay Street at around 5.30pm. Detective Sergeant John Dowds said: “Although no one has come forward to say they have been assaulted, nor have we had other reports of a disturbance, we are still keen to bottom out the report made to us about the incident. “A man, described as white, mid 30s, 5 ft 11, of medium build, wearing a white t-shirt and blue jogging bottoms, was walking along Castlebay Street, when he was approached by a silver/grey car. “A man got out of that car, punched him and then the car made off along Eglisay Street, towards Bishopbriggs. “The man from the car is described as white, over 6ft, in his 40’s, with strawberry blond/red hair, a beard/stubble and was wearing a red t-shirt and green shorts. “At the moment, we do not know if the victim got into the car or managed to run off. This is what we need to find out. “Officers have been carrying out door to door checks and looking at CCTV in an effort to find out what happened and from our enquiries so far, we know that there were four people walking their dog in the area the time who may have seen the attack. “Although we don’t have a description of the dog owners, one of the dogs was a Staffordshire Bull Terrier and another a Spaniel. Information can be passed to the CID at Maryhill Police Station via 101. Quote incident number 3053/21/07 when calling. Alternatively, Crimestoppers can be contacted in confidence on 0800 555 111.